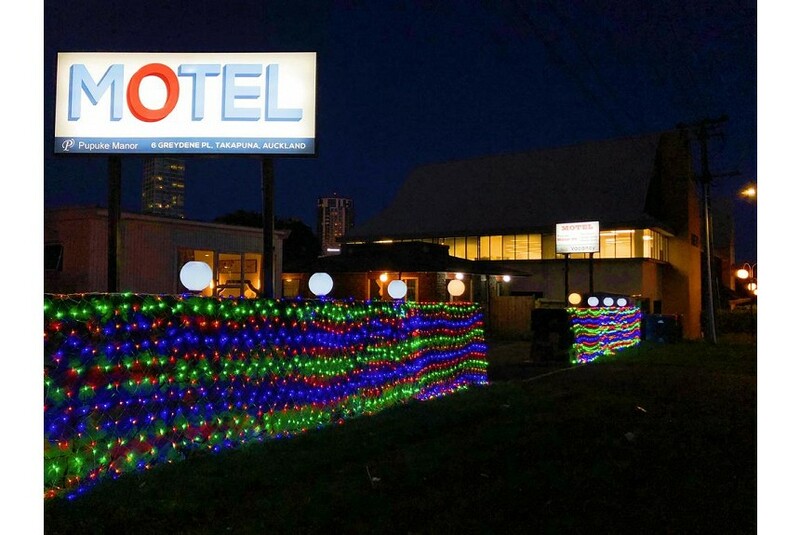 Renovated in August 2018, Pupuke Manor Motel offers free WiFi and rooms with air conditioning in Auckland. Ideally located in the Takapuna district, this motel provides a terrace. Auckland Harbour Bridge is 5 km from the motel and Viaduct Harbour is 6 km away. All guest rooms at the motel come with a seating area. Every room includes a private bathroom equipped with a shower and free toiletries, while selected rooms have a kitchen fitted with a microwave. Guest rooms have a desk. Guests at Pupuke Manor Motel will be able to enjoy activities in and around Auckland, like hiking. Speaking English and Chinese at the reception, staff will be happy to provide guests with practical information on the area. Sky Tower is 6 km from the accommodation, while SKYCITY Auckland Convention Centre is 7 km from the property. Auckland Airport is 24 km away.